North Central College presents Gabriel Sanchez Presents The Prince Experience, Saturday, March 9, 8pm in Pfeiffer Hall. 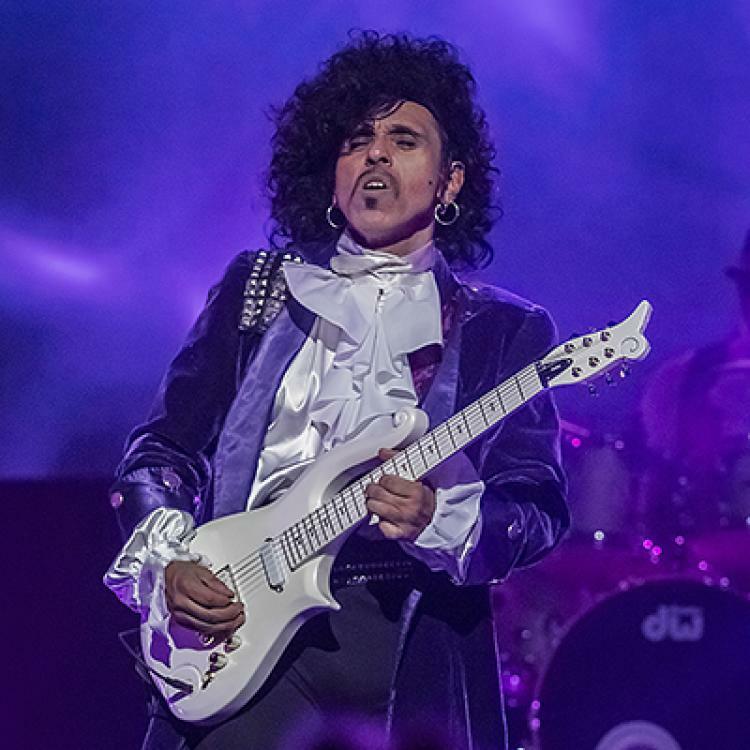 Since 2002 Gabriel Sanchez has been portraying Prince in his critically acclaimed show The Prince Experience. What started off as a small local theatre production of Purple Rain, has expanded into what has become a night of unbelievable entertainment, that keeps anyone who has seen it, talking long after the last encore is played. Gathering the musical cream of the crop of talent from Wisconsin and Chicago, Sanchez, along with his fellow musicians, re-create a stunningly authentic trip through time, bringing the music of the purple one to a new tribute band standard. The show is complete with choreographed dances, props and costumes, all of which are sure to get the audience up and out of their seats, from the very first note and continuing on throughout the extravaganza.